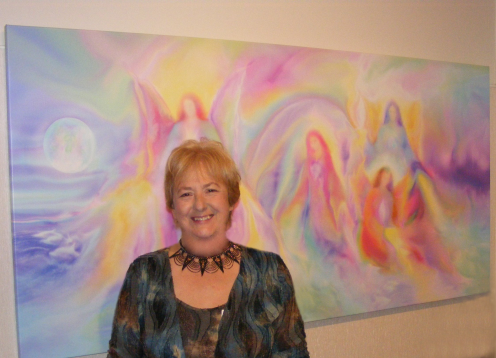 We at Sanctuary Angel Gallery and Healing Centre have worked with high Angelic Energy to create Sacred Space, using Angel Paintings and other objects that have been subtly imbued with high vibrational Angelic Energy. We also use Flower essences, essential oils and Reiki energy to create a very high vibration and to clear negative energies. 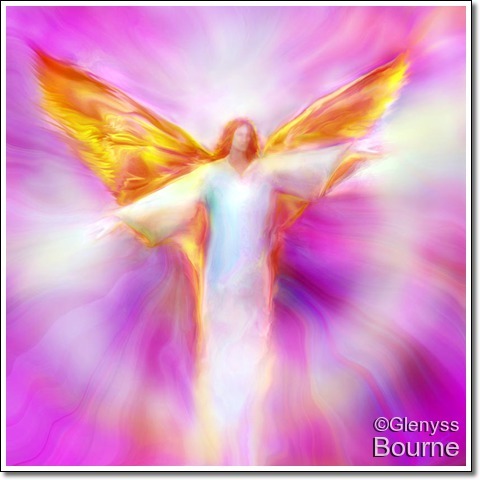 We conducted biofeedback testing to quantify the effect of Glenyss Bourne's Angelic Images and also her healing artwork and Ascended master paintings, that are imbued with Angelic energies. We tested the overall effect on the Human Energy Field. The positive effects were amazing. 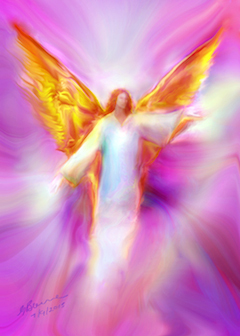 Even the smallest Angel picture had a significant positive effect on the Energy field. 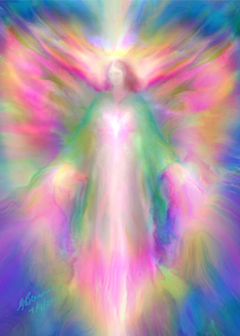 We at Anaheart work with the Angels to clear negative etheric energies, entities or negative Earth energies. These bad energies can affect the feeling of a space and also the behaviour and well being of those who occupy that space. Adults are often badly affected and these negative energies can contribute to ill health, mental, emotional and physical. 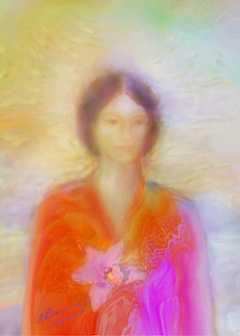 Children however are often affected even more than adults as they are more sensitive to etheric energies. Many children suffer from fears and anxieties in their normal lives and at night these fears often greatly intensified. A great number of children suffer from night terrors, sleep difficulties, fear of the dark, bad dreams and nightmares. Bed wetting is often caused by an overwhelming fear of getting out of the safe haven of the bed into the DARKNESS, which may be very scary for sensitive children. Children are much closer to Spirit than most adults. 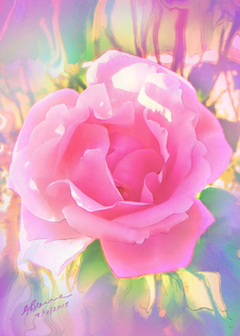 For them the veil between this physical world and the etheric plane is very thin. They can very often see etheric beings, and many children interact with these beings, for example, imaginary friends. Other very sensitive children are also haunted by etheric beings in the daytime. The entities that frighten them are negative entities who thrive in an atmosphere of fear and anxiety and who enjoy taunting and frightening the most vulnerable. One way of overcoming this is to uplift the vibration of the child itself and also to uplift and clear the physical spaces they inhabit. 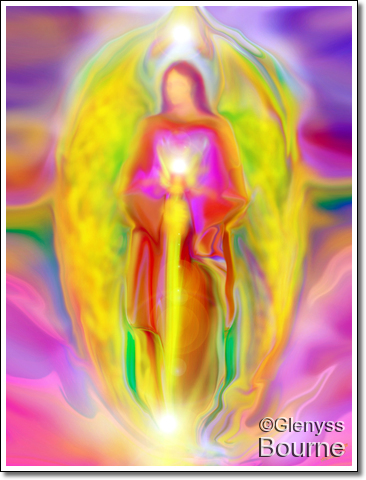 Angel art helps to raise the vibration and repel negative energies. Wherever there are traces drugs, alcohol or conflict such as family disharmony and arguments, the overall vibration of the house and it’s inhabitants will be lowered. Another cause of spaces that feel bad, is negative energies that may be attached to the physical space itself. Many housing developments in modern times are built on top of ancient cemeteries, sacred sites or the where there were atrocities committed. 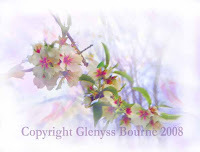 This leaves psychic traces that sensitive people, particularly children can feel and sometimes see. 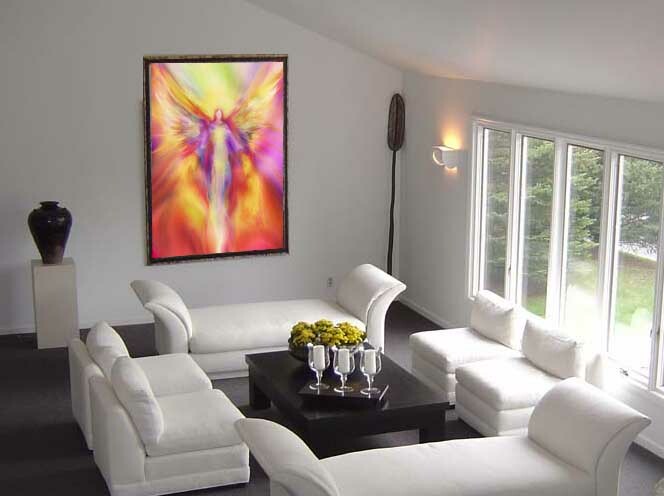 More angel paintings at Fine Art America. 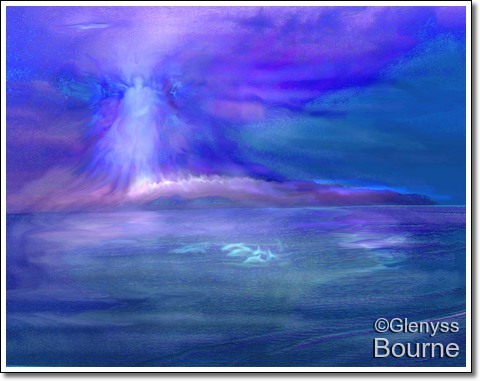 Copyright Glenyss Bourne 2018 all rights reserved. 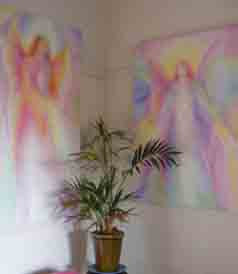 good article in forming the feng shui and angel relationship!